The 48th Annual Meeting of the African Development Bank – and the 39th of the African Development Fund – were officially launched under the high patronage of His Majesty King Mohammed VI of Morocco this morning. The King himself may only have been able to send us a message – we are “a solid, reliable and strategic ally”, he said – but he sent hundreds of his subjects. Marrakesh – Charity and aid have failed Africa and its leading entrepreneurs are now driving the continent’s development agenda. 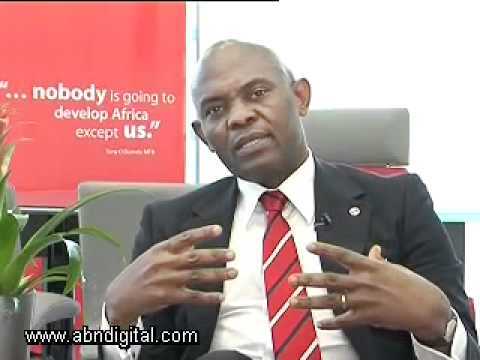 This was the sentiment of Tony Elumelu’s speech, described by many as “powerful,” which was delivered at the African Development Bank’s (AfDB) Annual Board of Governors meeting held in Marrakech, Morocco. Washington – Over the past three decades, Africa has functioned as a “net creditor” to the rest of the world, the result of a cumulative outflow of nearly a trillion and a half dollars from the continent. RustMo1 Solar Farm is a 7 MW solar photovoltaic (PV) power generation facility located at Buffelspoort, which is 22 kilometres outside the city of Rustenburg in the North West Province. This is the first renewable energy project in the North West Province. AU: 50 years to give corruption cultural status, another 50 to make it genetic? I’ve been to Addis Ababa yet again, but this time it has been for a big celebratory party that the African leaders and their friends have been enjoying on the occasion of the 50th anniversary of the OAU/AU. Cape Town — Toyin Saraki, founder and president of the Wellbeing Foundation, a maternal newborn and child health and empowerment organization, has dedicated more than 20 years to transforming the lives of women and children through advocacy and action. She spoke with AllAfrica about her work to improve health systems across Africa.